Moringa Tree – The Miracle Tree & Smart Food Tonic to Boost your Energy and Memory Archives - Learn to speed read in 2 day course with the top Speed Reading experts in the UK. Speed Reading courses in London, UK. Speed Reading strategies to increase reading speed, comprehension and memory. In-house speed reading courses in the UK. Meet the moring tree, the most important tree on this planet with the most amazing properties – that ancient medicine claims that prevenst 300 diseases. New evidence and preliminary studies on moringa oleifera suggest that moringa leaves could be a miracle cure for malnutrition and a host of many illnesses (cancer, diabetes, liver and kidney problems, ulcers, anemia, high blood pressure, stress, and much more). 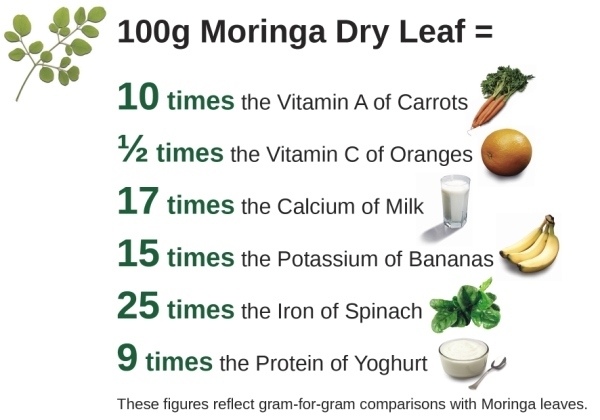 Moringa tree contains a perfect combination of nutrients, vitamins, minerals and proteins (at least 90 nutrients, 20 amino acids, 46 anti-oxidants (which boost memory – but the highest content of antioxidants have chaga mushrooms) and 36 anti-inflammatory) for everyone, especially for the ones who need extra energy boost and are leading busy lives.